When making a decision for the size of the tent, it will always being some problems. What’s more, you can take some samples into consideration when you making the decision. 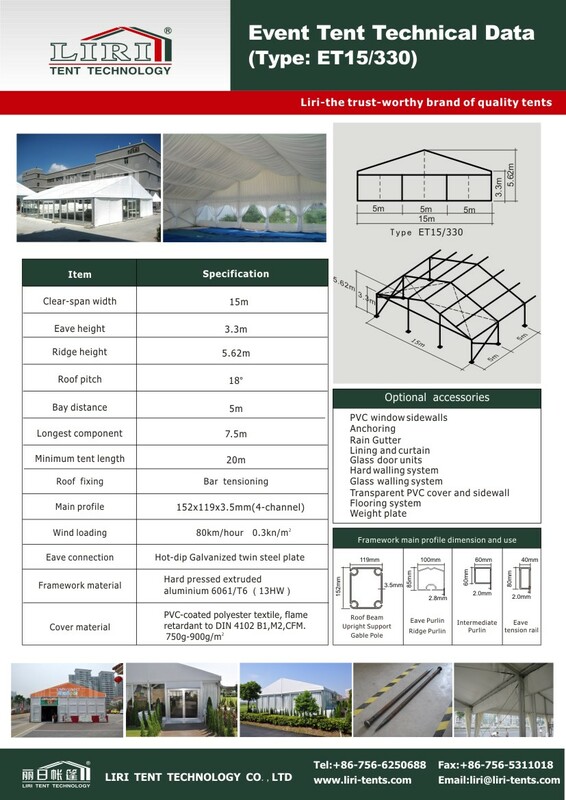 The most popular size in many country will be 500 people tent, therefore, we will recommend people to think of 15x40m tent. It count 1.2 sqm for each person, and with a durable structure, it can use for more than 20 years. Like the below picture, you can add some accessories based on your need, like the glass door and the pagoda tent as extrance. It is a very flexible design.